A Clan can gain various advantages and awards from occupying cities. Every week, the conquered territory gives fixed protection money to the ruling clan. The higher the level of the territory the bigger the ruling clan will get. 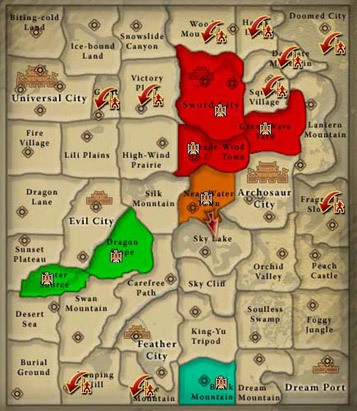 A clan can get 1,000,000 in in-game Yuan every week for a Level 3 territory. 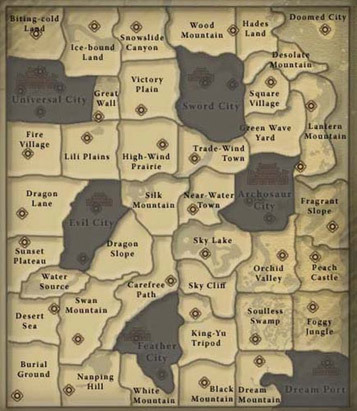 Ruling clan shall have their name placed on the map details. Occupied territories are marked by a color, and with the emblem of the occupying clan. Unoccupied territories are marked with a generic beige map color. New clans can only attack rank 3 territories. If a clan is already occupying a territory they can only attack neighboring or adjacent territories. Only players who are members of a clan before 4:00 PM on Monday (100 hours before the start of the first War Period) prior to the battle schedule are allowed to join the War. In order to attack a territory, Clans must declare their intention for war at any City Battle NPC during the proper period every week. The minimum fee to declare war on a territory is 500,000. The bidding period begins every Wednesday at 7:00pm, and ends every Thursday at 7:00pm. Bids made shortly before the deadline will increase the bidding period by 20 minutes. These last minute bids can extend the bidding period in increments of 20 minutes only 4 times, or up to 8:20pm Thursday. The Bidding Period cannot be extended beyond that. Increments to a previous bid must be at least 100,000 more than the current bid. The maximum bid is 200 million. Any clan that bids this amount automatically wins the right to attack the territory this week. 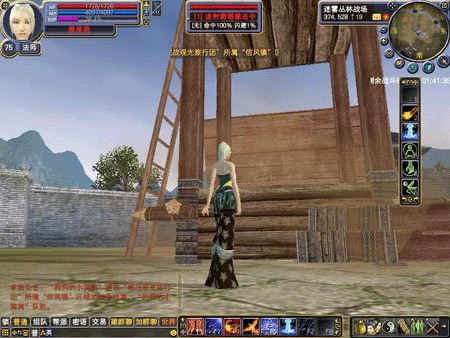 The Yuan used to bid will immediately disappear from a player's inventory. If there is only one bid to conquer a territory by Thursday 7:00 PM, then the right to attack the territory is automatically given to the sole bid. After the bidding period has ended, the game will broadcast an automatic message to all players announcing the attack schedule and clans involved. Furthermore, losing bids will be returned to the clan masters. Clans that lose the bidding process will receive their full amount of Yuan via in-game mail. Clans that win the bidding process will need to win the City Battle as well to receive a refund. Clans that win the bidding process have the opportunity to receive a significant refund of the amount of Yuan they used to win the bid. This refund will only occur after the City Battle Schedule of Friday to Sunday every week, and will be automatically sent to the Clan master via in-game mail. The details of the different refunds are listed here. Clans that win the bidding process but lose the City Battle will receive no refund. Clans that disband after bidding, or before receiving a refund, will receive no refund. Clans that win a City Battle for an unoccupied territory will receive a 90% refund. Number of Clan Members that logged into the game for 1 week prior to the initial bid. The average level of those active Clan Members. There are a total of 7 available time slots during the City Battle Period. These available time slots are listed here. Clans that are occupying 3 or more Cities may only have a maximum of 3 Cities scheduled for a City Battle within the same time slot. All the Clan Members of both the attacking and defending Clan will be notified via an automated announcement when their scheduled City Battle is about to begin. 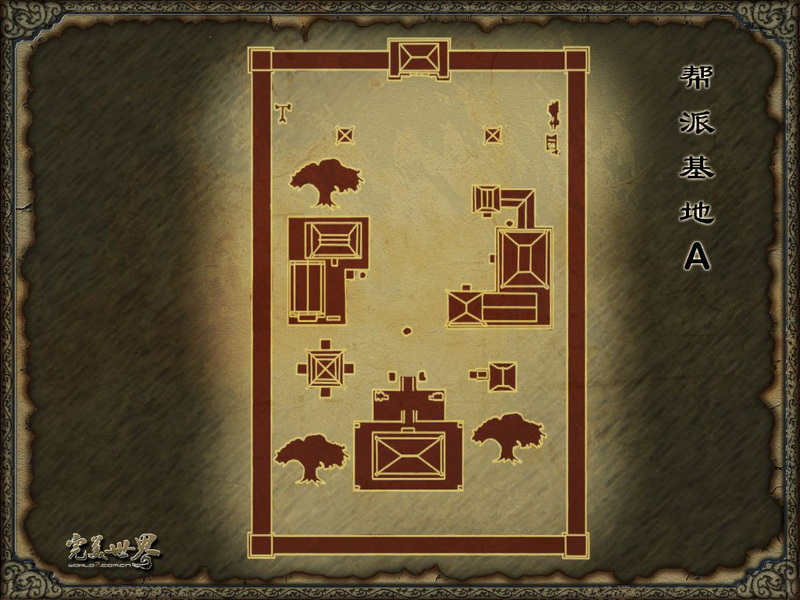 Clan Members that wish to participate in that scheduled City Battle can speak to any of the 6 City Battle NPCs or 45 Teleport NPCs around the world to enter the battlefield, but must remember the City Battle conditions listed here. There can only be a maximum 80 Clan Members present from each team in a single City Battle. The City Battle must be ongoing to enter the battlefield. The number of Clan Members currently in that particular battlefield is less than 80. The Clan Member must have been part of that Clan for at least 100 hours. Members of Clans defending or attacking multiple Cities simultaneously can select which City Battle to participate in by speaking to any City Battle NPC or Teleport NPC. Clan Members can freely switch between multiple ongoing City Battles by exiting a battlefield through the Battlefield NPC, returning to the world, and then speaking to a City Battle NPC or Teleport NPC again to enter a different ongoing City Battle. Once the City Battle begins and Clan Members begin teleporting into the battlefield, there are some rules that will apply to them inside the City Battle Battlefield that normally don't occur in the normal world. These rules and conditions are listed below. All Clan Members that enter a battlefield will have their Yuang Chi reset. The Snuggle command cannot be used inside the battlefield map. * All flying skills and mounts are disabled inside the battlefield map. All Land Mounts can still be used inside the battlefield map. Clan Members will not be able to attack members of the same Clan. Character Reputation will not be affected by killing other players. Characters will not drop any items or suffer experience loss from dying or reviving. Characters enter a 30 second ? Frozen State ? directly after reviving or entering a battlefield. Characters in Frozen State have all their skills and actions disabled, except for movement. Characters in Frozen State can still be attacked by opposing players. Clan Members that quit their Clan during the event will be kicked out of the battlefield map. Clan Members can freely leave and reenter the battlefield map as long as they still meet the requirements to join a City Battle. See Joining a Scheduled City Battle. The main objective of every City Battle is to destroy the opposing Clan's Central Tower and is the primary condition for victory. But there can be other conditions for victory, depending on what type of City Battle and if a Clan is on offense or defense. Listed here are the conditions for victory that must be met within the 3 hour time limit of each type of City Battle. Clans on offense must destroy the defending Clan's Central Building. Clans on defense must prevent their Central Building from being destroyed. Clans on defense can also destroy the opposing Clan's Central Building to win. 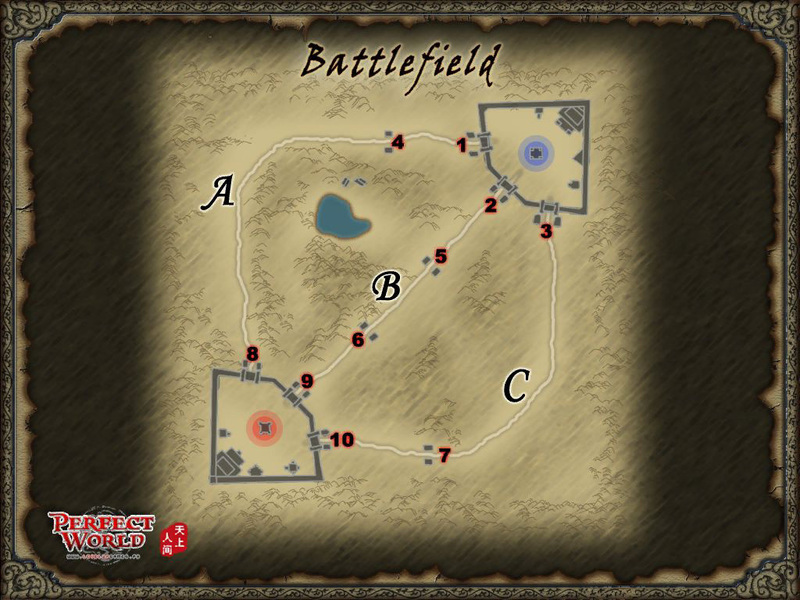 Clans attacking an unoccupied State must kill all mobs in the battlefield map. The City Battle Map is a 1 kilometer square battlefield with the offense and defense Clan Bases situated at diagonally opposite corners. All players start inside their respective bases at the beginning of each City Battle, or when they teleport into the Battlefield Map. Each base is surrounded by an Outer Wall with 3 gates, with each gate flanked by 2 Arrow towers. The main objective for both Clans to defend or destroy, this structure is what the City Battle all boils down to. The Central Building can be damaged by only Players and Catapults, with Catapults being the better options as they deal significantly more damage. Arrow Towers are the main defensive structures used in the Battlefield Map. Players can build an Arrow Tower in their preset location by going to an Arrow Tower position, clicking on it, and selecting to build any of 3 types of Arrow Towers . Arrow Towers that have been destroyed during the City Battle cannot be rebuilt. There are a total of 4 Catapults available to each Clan. 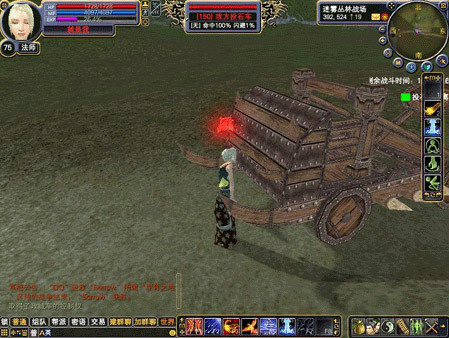 Players can operate Catapults by purchasing a Catapult ticket from the Battlefield Vendor for 20,000 Yuan, standing close any of their Catapults, then clicking on the Catapult Ticket. 5 seconds after using the Catapult Ticket, the Catapult it was used on will begin to automatically follow the Player. Transfer Fields and Columns are used as a quick means of transportation between Clan Bases and Arrow Tower Positions along the 3 Roads. The Transfer Field is located inside the Clan Base, directly in front of the Revival Point, while 4 Transfer Columns are located beside each Arrow Tower Position located along the 3 Roads in the Battlefield Map.